Two women who claimed they were victims of a hate crime have been arrested after police determined they staged the incidents. 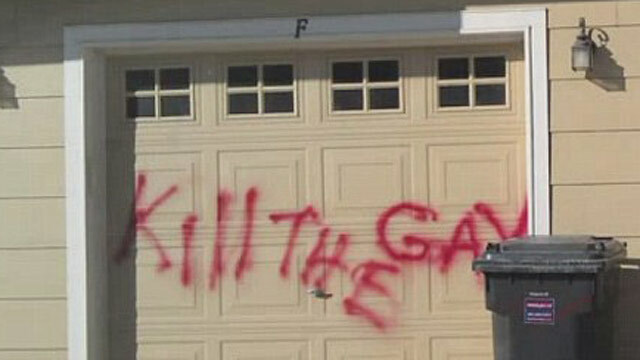 In October of last year, Aimee Whitchurch, 37, and Christel Conklin, 29, called police and reported the words “Kill the Gay” were scrawled in red spray paint on the garage door of their Parker, Colo., home. The next day, deputies responded to the same residence on the report that a noose was left on the front door handle. The FBI, along with the Douglas County Sheriff’s Office, conducted an investigation and found that the allegations by the two women were false. It was further determined that Whitchurch and Conklin spray painted the words on their garage door and hung the noose on their own front door. The women posted bail this past Thursday and are vowing to fight the charges.